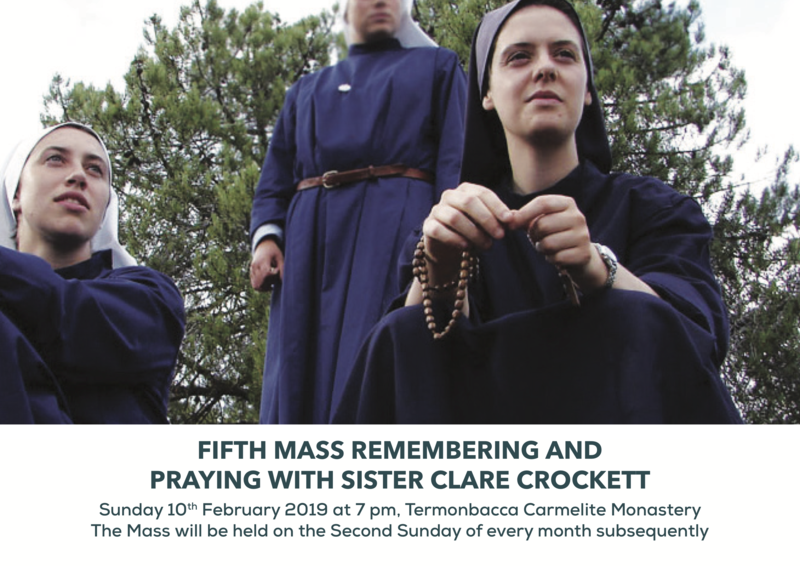 Join Fr Stephen and the community at Termonbacca in praying for the miraculous intercession of Sr Clare Crocket as a sign that God was pleased with the her life and offering. The C.O.R. group will be lifting the liturgy with their singing. Again we will be selling the extended version of the dvd presentation of her life. The Mass will take place Sunday 10th February 2018 at 7pm in Termonbacca Carmelite retreat centre.